March's full moon is a special one. 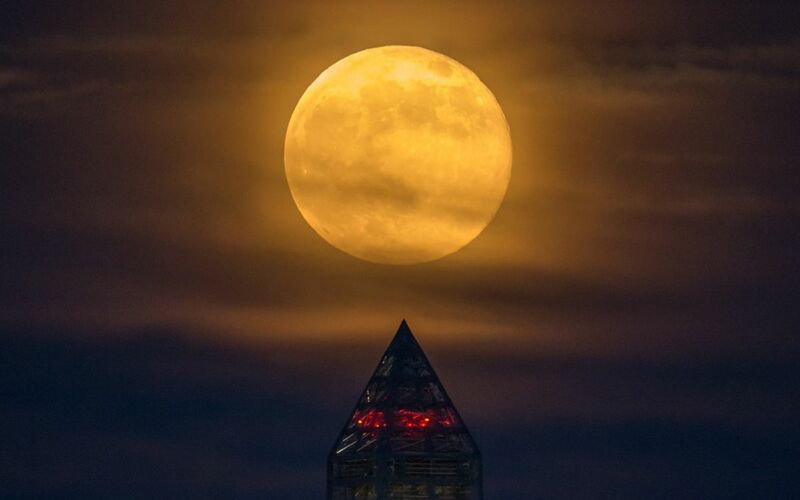 Not only is it a slightly larger than usual "supermoon," but it also will mark the beginning of spring in the Northern Hemisphere and fall in the Southern Hemisphere. The exact moment the moon turns full is Wednesday (March 20) at 9:43 p.m. EDT (0143 GMT on March 21), just four hours after the vernal equinox. That's when day and night on Earth are the same length, signalling the changing of the seasons. Luckily for sky observers, the moon is very easy to spot in the sky – even if you are in an area with a lot of lights. It will be visible in the constellation Virgo. The moon will rise at about 7 p.m. local time on Wednesday and remain visible through the night, setting at around 7:30 a.m. on Thursday (March 21), according to the U.S. Naval Observatory.